and it is now deeply involved with globally famous apparel brands. 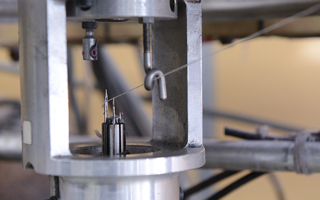 and continue to challenge the possibilities of creative and high quality fibers. the spirit of our founder at the time of the company’s creation continues to animate us as work hard to create new possibilities of the future. 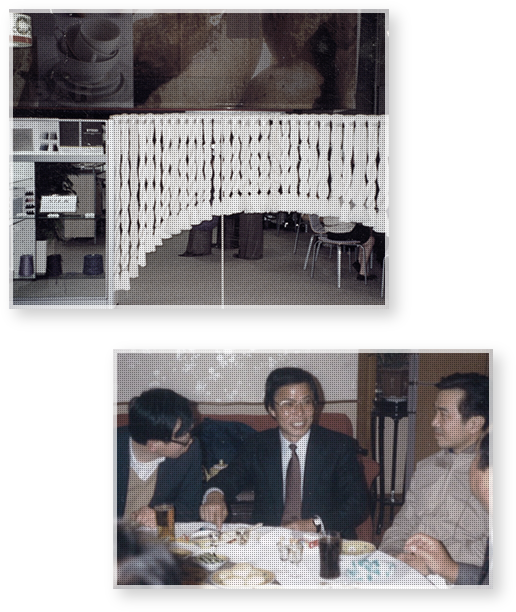 The beginnings of HASEGAWA came in 1965, when the current President Masaru Hasegawa founded a small yarn workshop as a sole proprietor. Born in Ichinomiya, one of Japan’s major textile manufacturing towns, Masaru started working for a textile company after he graduated from high school. There he learned the basics of the textile industry. Three years later he left to start a business of his own. At first he simply took orders as a subcontractor for the local dyeing factory. Then he started developing and supplying yarn for silk fabrics. This gained him connections and lead to the start of his dealings with the manufacturers of chirimen silk in Nagahama in Shiga Prefecture. 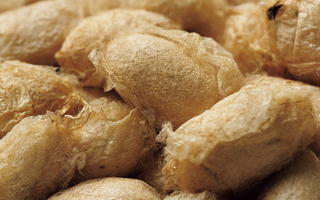 Purchasing spun silk yarn, processing it and selling it. The core elements of the business that we still conduct out today were born at that time. Nagahama was famous as a production area for chirimen silk, which at time was at the height of its popularity. Masaru started receiving offers from companies asking him to design new products. So he thought up some new products, had them adopted, and watched them becomes hits. He started get a lot of orders and every day was busy, but from a certain time he started to get complaints about quality of his products. People said “HASEGAWA’s silk isn’t silk filament it’s spun silk. It’s not suitable for chirimen” and the textiles had a red stamp saying “Spun Silk” placed on them. 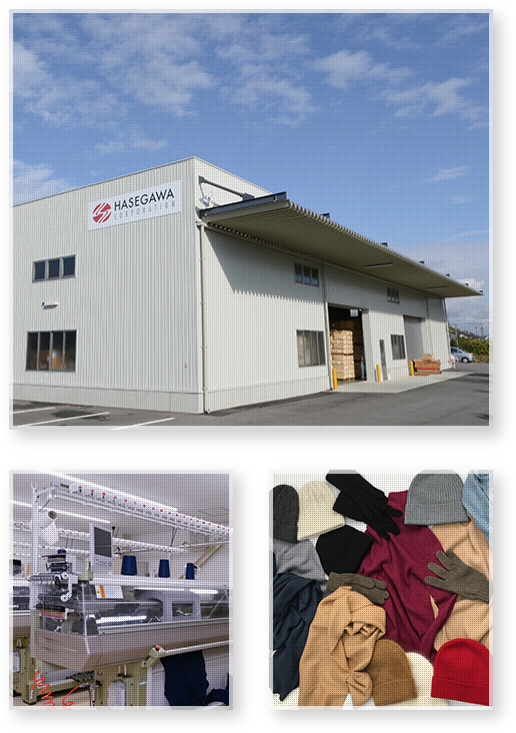 Although Masaru’s business has lost its impetus he kept looking new markets and moved to the bigger textile producing area of Tango in Kyoto to set up a new business operation there. In Tango, the quality of HASEGAWA products was accepted without a problem, and he was more popular than before. However as he looked over his successes, Masaru’s heart was already somewhere else. “Chirimen is not going to be more popular. Next time I want to put my efforts into western clothes in Ichinomiya”. He returned home and proceeded to work on this new development. There were many high school classmates working in the textile industry in Ichinomiya and they linked up together to build the stage for something new. 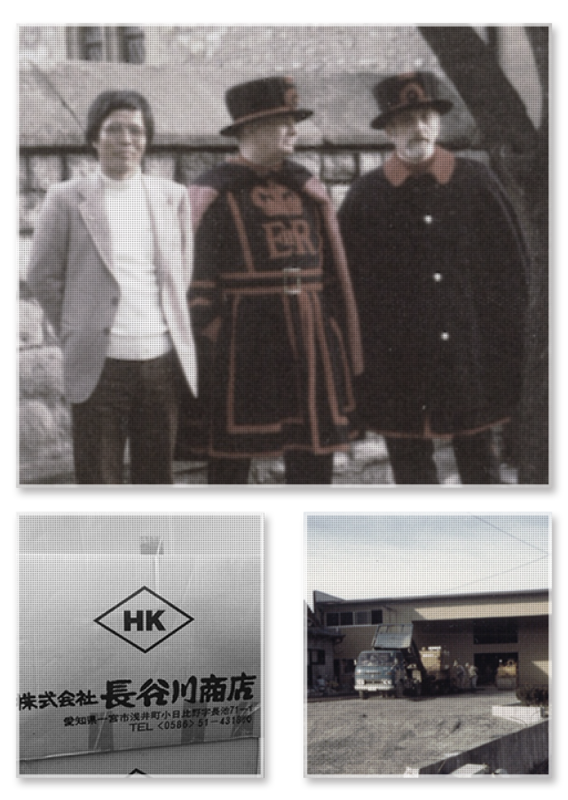 When Masaru was 33 he established Hasegawa Corporation as a registered company. He was finally able to determine all the details of purchase of silk yarn and raw materials (including overseas orders), processing and sales himself. It was from about this time that he narrowed his strategic focus to target silk used for western clothing only. He took silk filament yarn and spun silk yarn that had been used in Japanese clothing and made various adjustments and modifications to create twisted silk yarn that he started supplying to the weaving and knitting industries. At the same time, he introduced manually operated flat knitting machines, prepared swatches and starting making proposals for new designs to apparel makers inside and outside Japan. 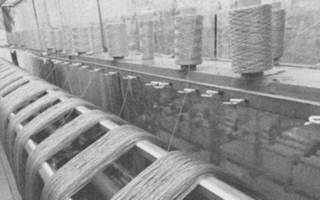 Finally he got a series of hit products that contributed to the silk knit boom that was occurring at the time. He had a good relationship with his suppliers and partner companies, and every day saw HASEGAWA accumulating trusted business relationships and rock solid results. Amid these strong business results, it was new personal connections that held the clue to the next stage in HASEGAWA’s expansion. Together with some young men from a weaving company that he had got to know in Ichinomiya and Osaka, he went on a tour of inspection of Europe and other countries overseas, and opened the way for a stream of new orders from overseas. And then in China, India and Uzbekistan and other parties, together with increasing the volume of orders from overseas, he also commenced his association with Japan’s major trading companies. Using these trading company connections to the maximum, Masaru sucked up information from countries around the world while expanding his business at a rapidly accelerating speed. He began to wonder whether there were any better materials. or more efficient suppliers waiting out there to be discovered in the wide world, and as he started thinking in this way, he could see the possibilities unfolding right in front of him. His ambition, determination and desire to expand further overseas grew stronger every day. With that mindset, he took his first step into a new world, and participated for the first time as an exhibitor at “FILASIA” in Hong Kong in 1995. This opportunity was the catalyst for many subsequent appearances at overseas exhibitions and trade shows. 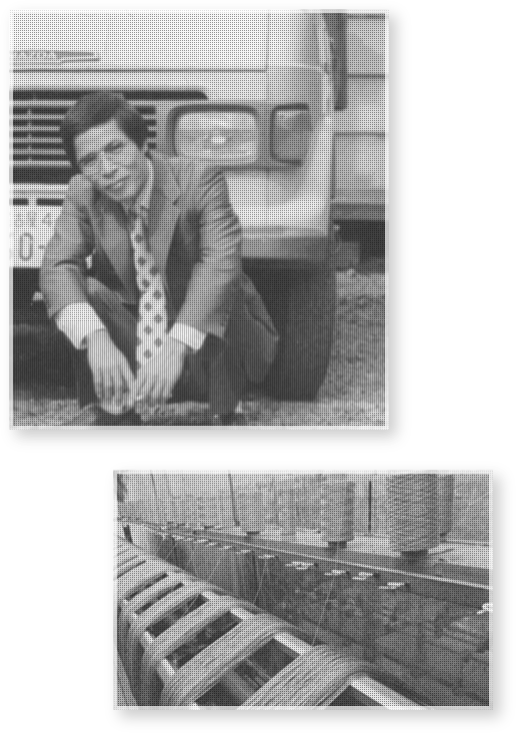 Through a process of repeated trial and error HASEGAWA had now exhibited at trade shows in every country in the world. As a result HASEGAWA’s name had become gradually better known and its reputation for high quality products was also growing. 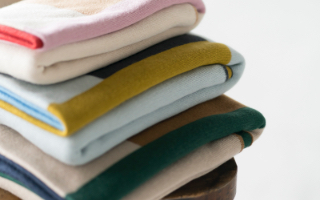 At around that time HASEGAWA produced a large lot of spun silk for use in sweaters in response to an order from a large knitting company in Hongkong and gained an ongoing overseas sales channel as a result. 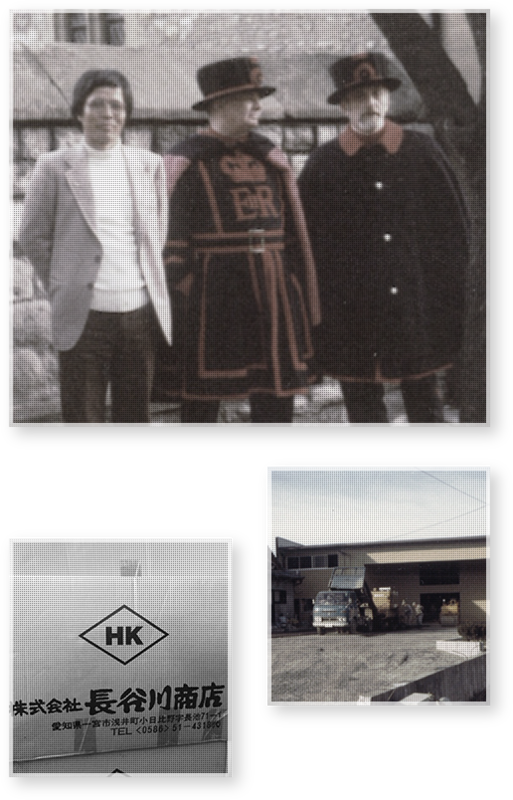 From that time on HASEGAWA had two sides to its operations, as a yarn maker and as a trading company, carrying out all stages of the production process from sourcing high quality materials to finishing and sale of yarn. This ability to take responsibility for the entire process saw the company become highly respected in overseas markets and has subsequently taken root as one of HASEGAWA’s strengths. The materials costs that formed a large portion of expenditures when relying on trading companies also decreased as the company entered a period where it now had the structures in place to do everything in-house. Murata MACH corner with air splicer & uster quantum (colored yarn detector) installed, quality inspections during loading and unloading of shipments started. One of HASEGAWA’s strengths is the ability to carry out all stages of the production process, from purchase to manufacturing and sales In order to build up that strength even further, the company regularly carries out proactive and effective investment in facilities and equipment. 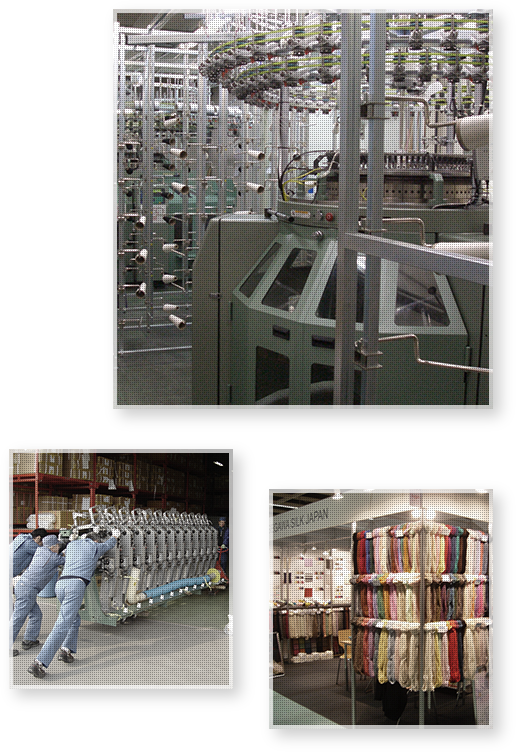 At the same time as Murata MACH corner was installed in 2003, the company also installed new circular knitting machines, automatic winders and the latest automatic knitting machines. At the same time as strengthening HASEGAWA’s in-house manufacturing capabilities, the company also worked hard on initiatives to improve quality. 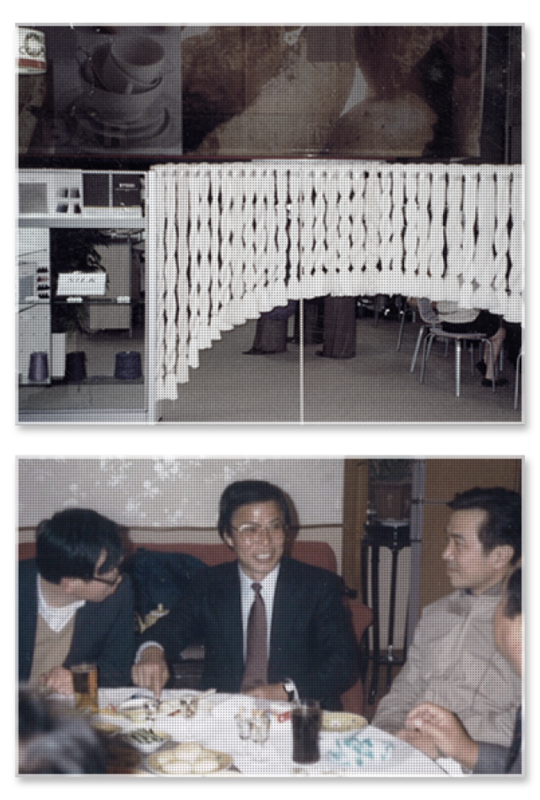 Originally the only product HASEGAWA handled was yarn, but with installing of circular knitting machines the company became able to produce circular knitting jersey and as a result it now became able to develop new products in a way that hadn’t been possible before. Through cooperation with partner companies inside and outside Japan and the efforts of technical instructors in overseas factories, the company continues to face up to the challenge of creating new and distinctive high quality items in the way that “only HASEGAWA can”. 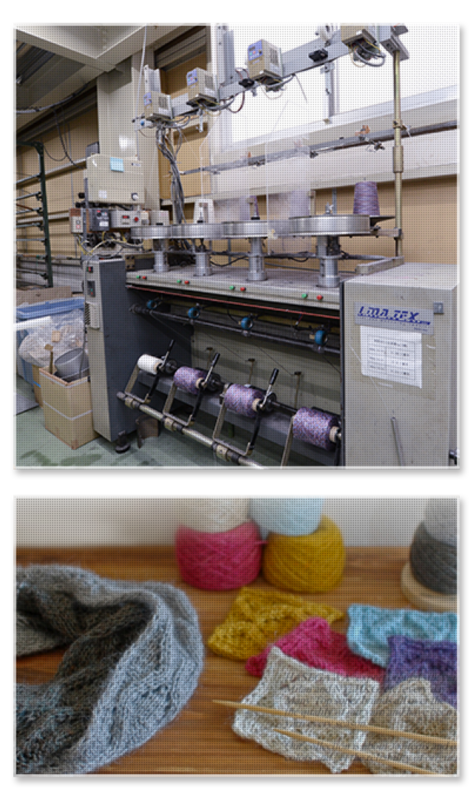 Circular knitting machines from Fukuhara Installed. Installation of double twisters, Silk sliver traction device and Gill serial connectors. 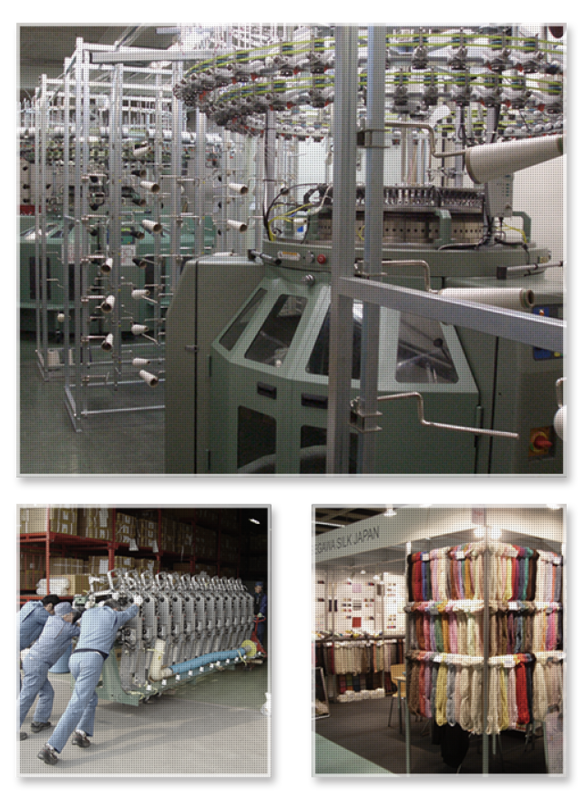 Installation of lily yarn machines, covering machines, jumbo twining machines and chenille machines. Murata MACH corner / air splicer / uster quantum with color Detector installed and achieving high quality of raw white and dyed yarn. 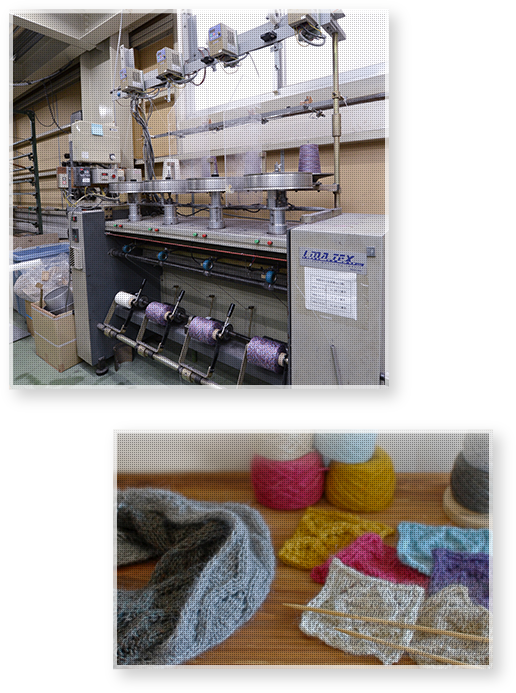 Opened “Silk HASEGAWA” online shop at Rakuten, commenced sales of hand knit yarn for individual customers. 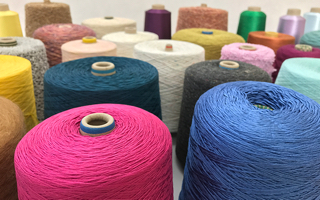 Installed Shima seiki design systems and latest automatic knitting machines and started developing products with our own stock yarn. Large warehouse opened next to our main office. Product finishing machines (automatic finishing machines, tumbler dryers, dry cleaning equipment, sewing machines) were installed. Sales of products using our own yarn started. As the world continues to change rapidly around us, the market environment in which HASEGAWA operates is changing too. Looking at the market, it seems evident that there are difficult times ahead for apparel and department stores, while in their place fast fashion and internet sales have risen to prominence, but how these trends will play out in the long term nobody knows. Logistics are becoming more diverse and fragmented as well, and as a result opportunity loss and other damage is occurring more frequently than before. In these circumstances, HASEGAWA needs to further reinforce its strengths while stretching our eyes out to target a broader range of customers. 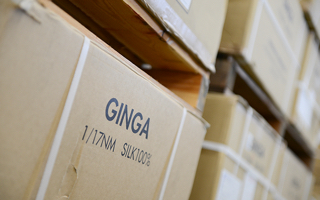 When you place an order with HASEGAWA, you know that every detail of the production process will be handled by us. That unified framework enables us to continue to supply high quality products to everybody from global brands to individual consumers. But in order to deliver that quality, we need to continue to improve our ability to conduct integrated production and sales operations. We also need to ensure that purchase of raw materials is conducted with appropriate judgement of quality. Another important task is to pay attention different regions of the globe and acquire up to date information about local market conditions. HASEGAWA is committed to carrying out continuous development of new products while at the same time engaged in expanding our sales channels still further. 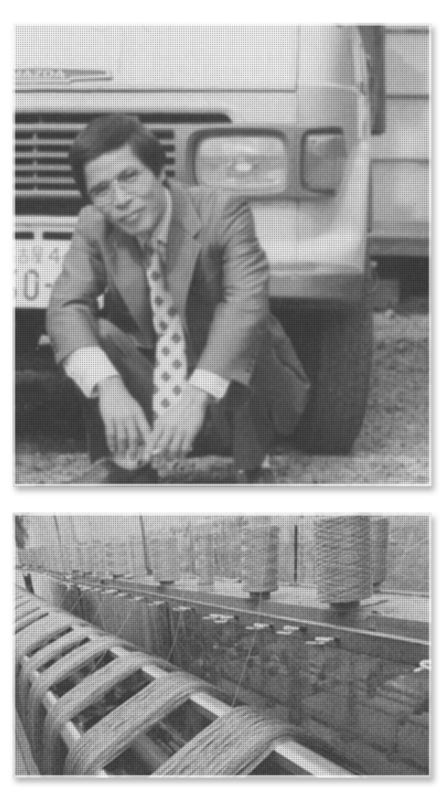 We will continue taking on every challenge and never give up in our quest to establish world famous HASEGAWA brands.